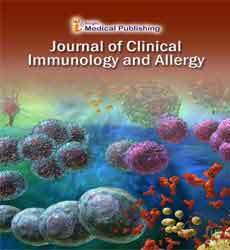 Allergy is caused by the series reactions of hypersensitivity of immune system. It can be defined as a damaging immune response by the body to a substance generally called as an allergen. A substance that causes an allergic reaction is called an "allergen". Allergens can be found in food, drinks or the environment. Particular food, pollen, fur, or dust, pet dander, pollen or bee venom etc. are some of the allergens known. Allergic diseases include hay fever, food allergies, atopic dermatitis, allergic asthma, and anaphylaxis.